Police in Northern Ireland are investigating the latest raid — in the early hours of Tuesday 16 April — in Bushmills, a small town in County Antrim which is world-famous because of its whiskey distillery. There has been speculation the gang is made up of dissident Irish republicans who are raising money to fund a renewed IRA campaign. 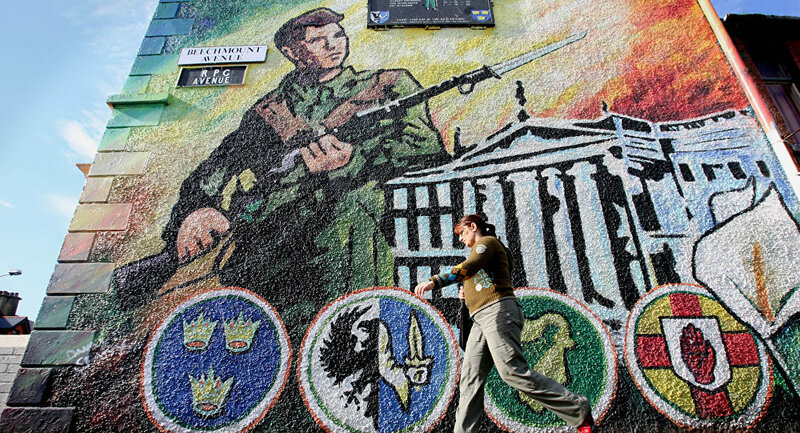 Dissident Irish republicans are believed to see a no deal Brexit as a major opportunity to push ahead with a military campaign to achieve their ultimate political objective — a united island of Ireland. On 9 April a senior Provisional IRA figure told the Irish Daily Mirror the raids were part of an attempt to build up a "war chest" to purchase weapons which could be used in a renewed attack on British targets in Northern Ireland. The Police Service of Northern Ireland later recovered the ATM machine stolen during Tuesday's raid and subjected it to forensic examination. "This ATM theft was the ninth this year and I understand the concern of the public and the business community. As in all of these ATM thefts, the actions of these criminals have not only caused immediate financial harm to the business that was targeted, but they have caused devastation to the local community," said Detective Chief Inspector Dunny McCubbin. "I want to reassure the public that we continue to take this matter extremely seriously. I understand the fear that these attacks are causing, and the damage that is left in the wake of each theft. We are doing all we can to catch the people responsible and stop these attacks," said DCI McCubbin. ATMs have been ripped out of the wall of banks and petrol stations in Ballymena, Dungannon, Irvinestown, Moira, Newtownabbey and Omagh in Northern Ireland and there have also been two similar robberies in counties Cavan and Monaghan in the Republic. Earlier this year a series of letter bombs were sent to the University of Glasgow and three transport hubs in London. The original IRA — which split into the Provisional and the Official IRA — was responsible for the majority of the 3,500 fatalities caused during "The Troubles". Between 1969 and the signing of the Good Friday Agreement in 1998 Irish republican terrorists sought to force a united Ireland and were opposed by loyalist paramilitaries, the British Army and special forces like the SAS. There are fears that a no deal Brexit will require physical border checks to be resumed in Ireland, something which will enrage Catholics in particular who live along the border or have relatives on the other side of the frontier.